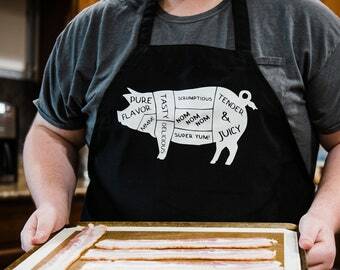 This pig butchery tee is great for anyone who thinks that pork chops, bacon, ham, etc are delicious. 2. Ladies Next Level - Runs small. More fitted to a woman's curves. I typically recommend sizing up two whole sizes and customers are usually happy with the fit. 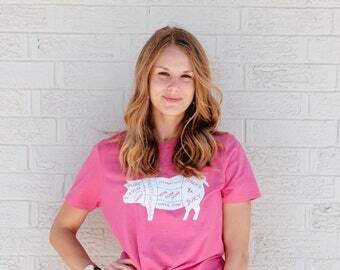 For instance, if they normally wear a small in a Unisex tee, I would recommend purchasing a large in the Ladies fit. Please keep this in mind and reference the size charts pictured above before selecting a size. 60% combed ringspun cotton and 40% polyester jersey. 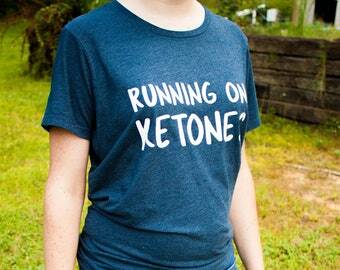 Softer than a standard cotton tee and colors are slightly heathered. 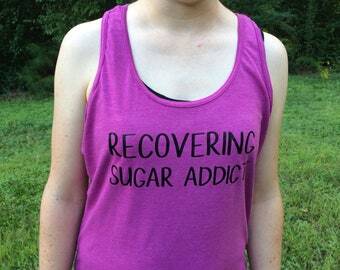 *Note that certain colors are not available in 3XL, but I will let you know if you happen to order one of these. 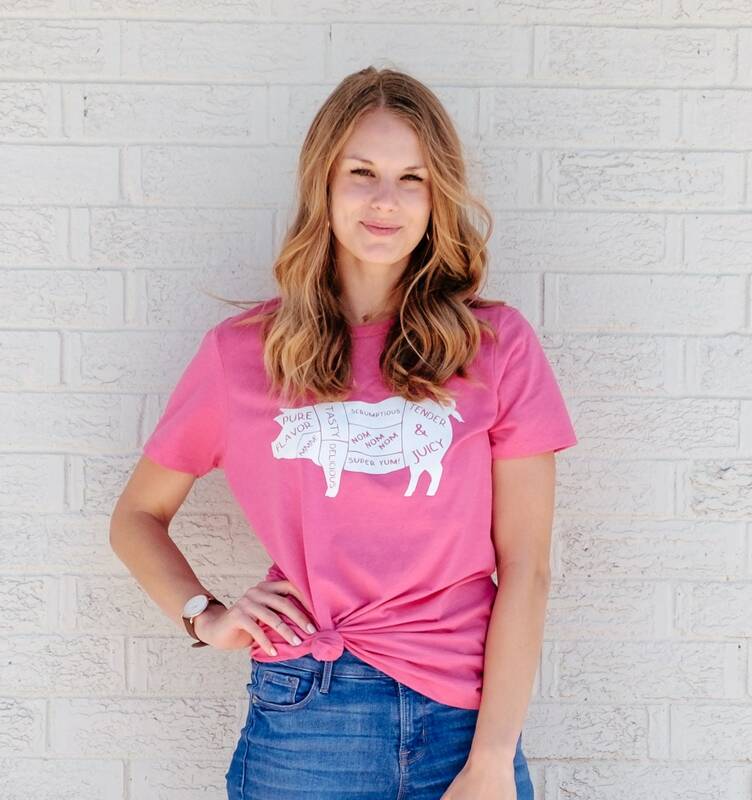 Female model normally wears a size S, and she is shown wearing an XL in the ladies fitted NL tee in the light pink color (3 sizes up from normal). Male model is wearing a black unisex NL shirt in his normal size. Please allow 3 weeks processing time. Choose shirt type and the color from the first drop down menu. Choose size from the second drop down menu. I do not accept returns on custom items and I will not accept returns for incorrect sizing. 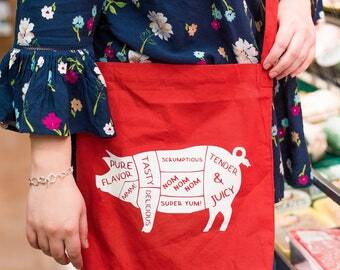 Therefore, it is imperative that you read the sizing information above very carefully prior to ordering. I designed this myself, but I do use a production partner to print the heat transfers which I then apply to the tees using a heat press. Please note that shoes and jeans are only photo props to show how you could style this tee, but they are not included in the purchase.